French Baguettes are traditionally made fresh daily. I have developed what I believe is an easy version. It used five basic ingredients. Do not be alarmed if the dough is very sticky and wet. This is a high hydration dough and it is supposed to be this way. 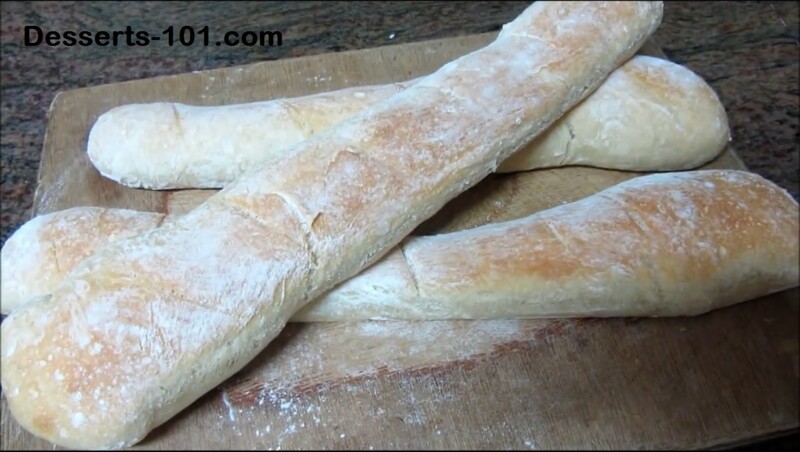 Baguettes make great toasted garlic bread to be served with pasta. Another great idea is to them them into French bread pizzas by slicing the loaf in half, spreading sauce, cheese and topping and baking in an oven. Use day old bread for French toast, bread puddings, croutons or bread crumbs.